China's technology companies are starting to set trends in telecommunications, mobile devices and online services. Colin Light, partner at PriceWaterhouseCoopers, discusses what they are doing to challenge global market leaders. CHINA has long been seen as the "world's factory," churning out vast mountains of low-quality goods, but it is also considered a nation incapable of producing innovative products and ideas. Now, this is beginning to change -- China is closing the innovation gap. From drones to artificial intelligence, the Internet to genetic engineering, innovative Chinese companies are leading global innovation and reshaping the country's technology and business landscape. "There is a huge market with great opportunity," said Dai Xiang, co-founder and general manager of Enpower Energy, a manufacturer of aqueous ion batteries, which are cleaner, safer and more cost-effective than lead-acid batteries. After 20 years in the United States, working as a senior manager for start-ups in Silicon Valley, Dai decided to go back to China and start his own business. To tap into the energy storage market, Dai and his friends set up Enpower Energy in 2012, with registered capital of 5 million yuan (about 746,270 U.S. dollars), in eastern Jiangsu Province. "We get a lot of support from the local government," Dai said. Enpower Energy provides wind and solar energy storage solutions for households and businesses, and favorable policies allow it to attract talent and stay in Jiangsu for three years without paying rent. The company, now with more than 50 employees and nearly 66 million yuan in total investment, plans to complete large-scale tests of its aqueous ion batteries by the end of the year and move to mass production in the middle of 2017, Dai said. "We will become the world's second producer of aqueous ion batteries, after Aquion Energy in the United States, and we expect the company's business revenue to top 2 billion yuan by 2020," Dai said. For much of China's economic boom over the past decades, labor and capital flocked to garment and mobile phone manufacturers. But now China is trying to move beyond just being the world's factory. Policy makers want the country's future growth to drain strength from new technologies, new ideas and new business models. "To make China an innovative country and a leader in science and technology is what China must do now in pursuing development," President Xi Jinping said at the opening of the B20 summit in September. High research and development spending, large numbers of engineering and science graduates and a wave of new businesses all signal that China has the potential to occupy the forefront of global innovation. According to a global survey by Cornell University, INSEAD, and the World Intellectual Property Organization, China is now of the world's 25 most innovative economies. China moved up four places from the 2015 survey to 25th overall, making it the first middle-income economy to break into the top 25, an area traditionally dominated by highly developed economies. 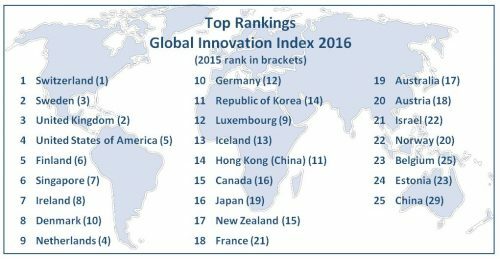 China's rise up the global innovation rankings has also been reflected in its businesses. It is now home to some of the world's most innovative companies, particularly in the fields of mobile technology, biotechnology and medical services. In Forbes magazine's "World's Most Innovative Companies 2016," which ranks businesses on their ability to be innovative "now and in the future," Shanghai RAAS Blood Products ranked 16th. A separate survey by Fast Company magazine ranked Huawei 13th "for taking the upper hand in the global mobile competition." Rising from a small workshop in the southern Chinese city of Shenzhen in 1987, Huawei has grown into one of the world's leading manufacturers of telecoms equipment. Spending 10 percent of its annual budget on research and development, Huawei is the subject of particular scrutiny now that the government is encouraging innovation and entrepreneurship in the hope that creativity can spur a slowing economy. Despite embracing innovation, China still lags behind on some issues. Ren Zhengfei, founder of Huawei, said China must do more to protect intellectual property. "Only if it protects intellectual property will China see more inventions. Ensuring originality is respected will attract more people into this field and help original ideas grow into industries," Ren said. Dai Xiang believes the Chinese government needs further reform to cut red tape. Calling it a painful process, Dai said it took him about eight months to register a joint venture with the Institute of Tsinghua University, Hebei Province. 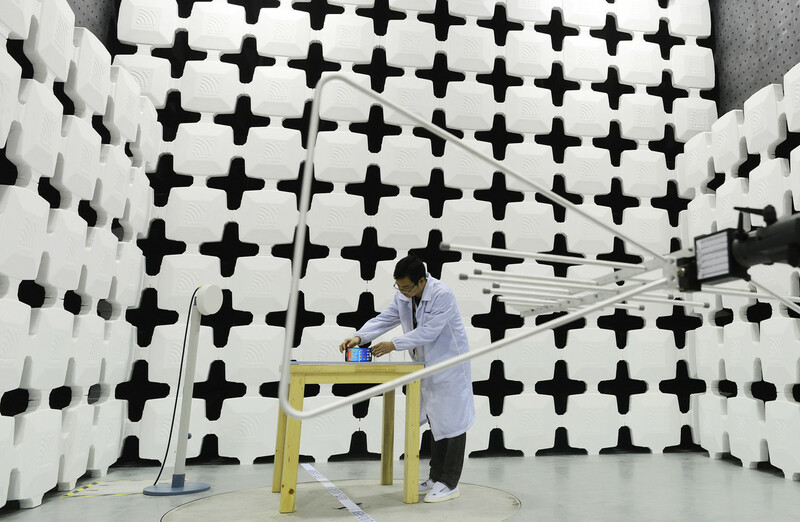 From factory to laboratory: can China become 'leader not follower' in innovation?